Rachel emanates vitality. She is a dreamer and a doer. She puts thoughts into action. 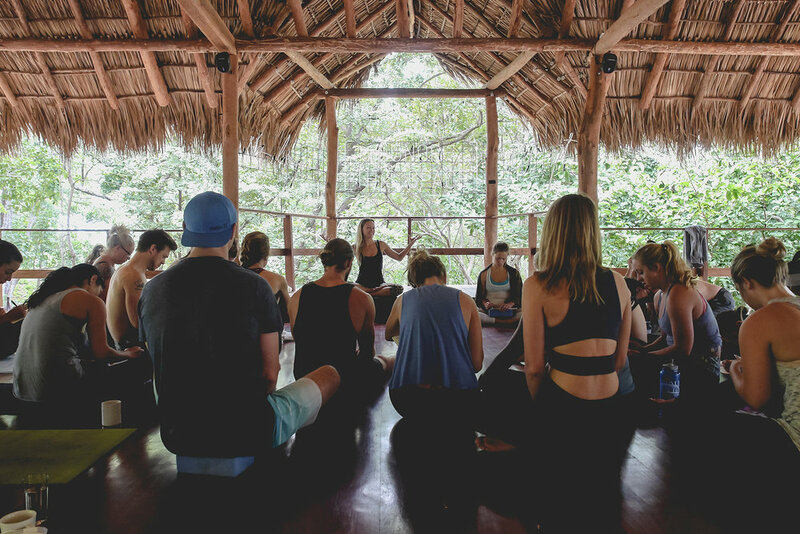 Her vision to create a way for like-minded people to gather together in paradise locations to share life-enhancing experiences lead her to the creation of Exhale Yoga Retreats. Rachel whole-heartedly believes in the transformative power of yoga. Yoga has given her the tools to meet the inevitable difficulties of life with a measure of acceptance, openness, trust and LOVE. She believes that with this practice you will attract a healthier, happier, more fulfilling life. She pours all her loving energy into creating Exhale Yoga Retreats and living her dreams. She hopes to inspire others to be courageous and manifest what is deep in their hearts. Jules works alongside his wife Rachel, with a vision to spread happiness via the international yoga adventure retreats and yoga teacher-trainings that Exhale Yoga Retreats proudly offers. Together they plan every detail to provide an authentic, enriching experience. With a passion for photography and videography, Jules is the creative behind Exhale Yoga Retreats’ look and feel. During the retreats he captures memories in the making and provides retreaters with a Dropbox folder full of professional quality photos and videos. From candid moments laughing with a new friend to that epic wave you waited all day to catch, Jules will record it all, allowing you to disconnect from your electronic devices and enjoy care-free fun. 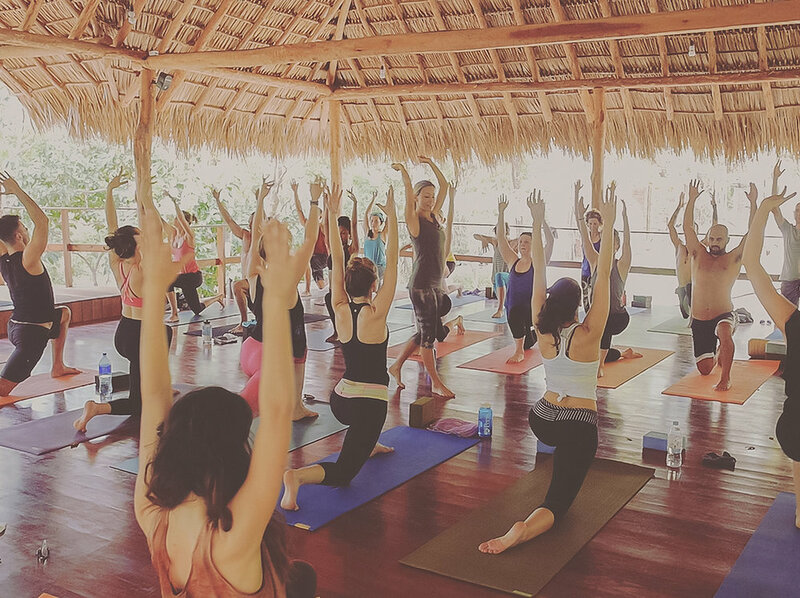 With years of experience running yoga retreats and teacher-trainings, Jules ensures everything operates smoothly on location, so retreaters can relax and immerse themselves in life-enhancing yoga, adventure, surf and fun! Lizzy has an adventurous spirit and deep passion for yoga, travel and genuine human connection. She strives to be a positive light by taking her yoga practice off of the mat and living it in her daily life. Having recently completed her 200hr YTT, Lizzy has started teaching at her local studio and sharing her passion for yoga. Joining the Exhale Tribe was the perfect fit into a like-minded community and she joyfully answers inquiries and questions. She works hard to ensure that you will have a great experience with Exhale Yoga Retreats. Antonia is, amongst many things, but perhaps above all- a writer. She wrote her first book at the age of 8 and has since then never ceased to let the words flow. Her intuition led her to participate in the 300hr YTT in Bali in May 2017 and serendipitously became a part of the Exhale Yoga family. And with Exhale Yoga Retreats being a sanctuary for creatives to express their souls voice in the most authentic way, visions collided and aligned to create a perfect match. She has now happily been assigned the title 'Exhale Yoga Retreats blogger and creative words'.